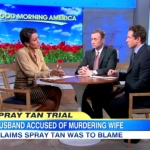 Dan Abrams and Chris Cuomo on the "Spray Tan Defense"
Dan Abrams appeared alongside Chris Cuomo today on Good Morning America to talk about this unusual defense in the trial of a man accused of strangling his wife several years ago. 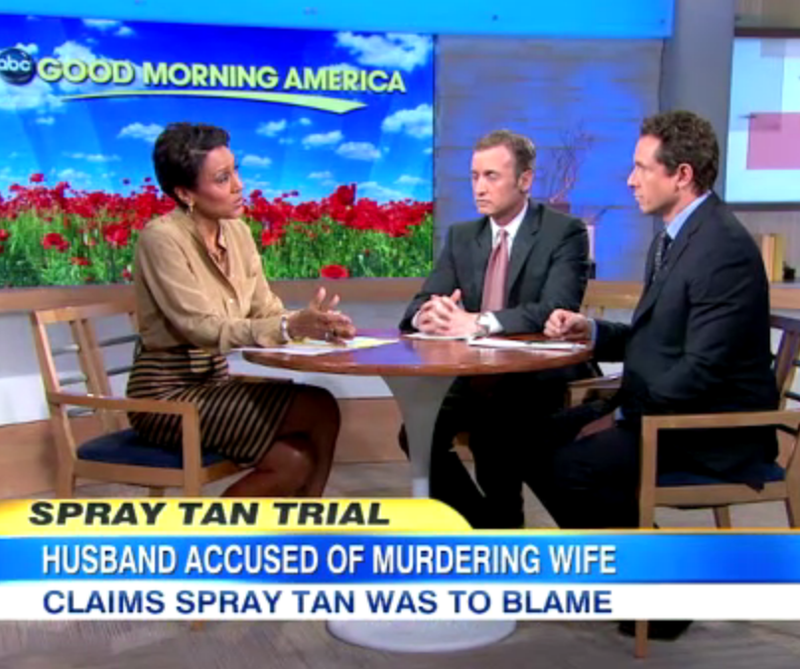 “Never heard a spray tan defense before,” Dan said, while acknowledging that it’s actually a “comparatively strong” one. “The prosecutors basically have a medical examiner come in and say that he believes the victim was choked a year and a half later – but that seems like all they have.” The defense, on the other hand, seems to have quite a bit to work with here, including an enhanced picture of the victim that might reveal something. The defense’s theory is that she had a bad reaction to the spray tanning, and somehow that gets reflected in the picture. Not only that, but the defendant himself is being backed by the victims family – something Cuomo calls “huge” for his case. Dan agrees to say that “on the whole, most cases that go to trial have a lot more evidence than this one.” Watch Abrams and Cuomo have their full discussion here.